ok, it's more mythology than legendary really. throw me a stone. thank you Asja again for the textures. thank you Elysian Fields for the music. I hope our american visitors will appreciate the fact that I went against my nature and hid the boobies. suddenly I'm not so sure. 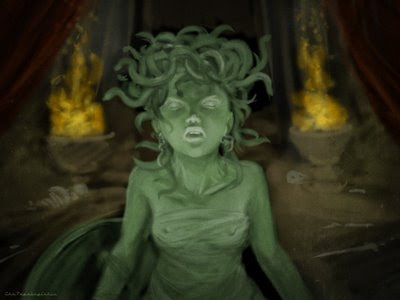 should I explain who/what medusa was?